Every author loves the subtle variations between words, the hidden meanings, the possible misunderstandings. "Bare" words can be fascinating, in any language. Being a native German who writes in English, I also enjoy the cultural differences that show when it comes to proverbs. Quite often, they make me laugh -- and if you make the mistake of translating them word by word, you'll find that people will scratch their heads. So I thought I would give you a tour of German proverbs in the months to come. Here's the first one: In English, you say "Don't make a mountain out of a molehill." I love the image that conjures up in my head. It's also a fairly logical escalation from a small amount of earth to a big amount of earth. However, if you'd translate that into German, people would probably get the idea, but they would still smile because the correct saying is: "Don't make an elephant out of a mosquito." Not quite as logical, but just as effective. I always wonder how sayings like these developed and settled in every-day language over the years. I believe they are rich in history and tell us a bit about our culture. Though, to be honest, we don't have native elephants here, and while we do have mosquitoes, we have less than other countries. Maybe it's a sign that the Germans love exotic things? Who knows . . .
Tell me about your favorite sayings, and I'll give you the translations! And if you wish to remain updated about all we do over here at Sweet Romance Reads, don't forget to sign up for our newsletter ! 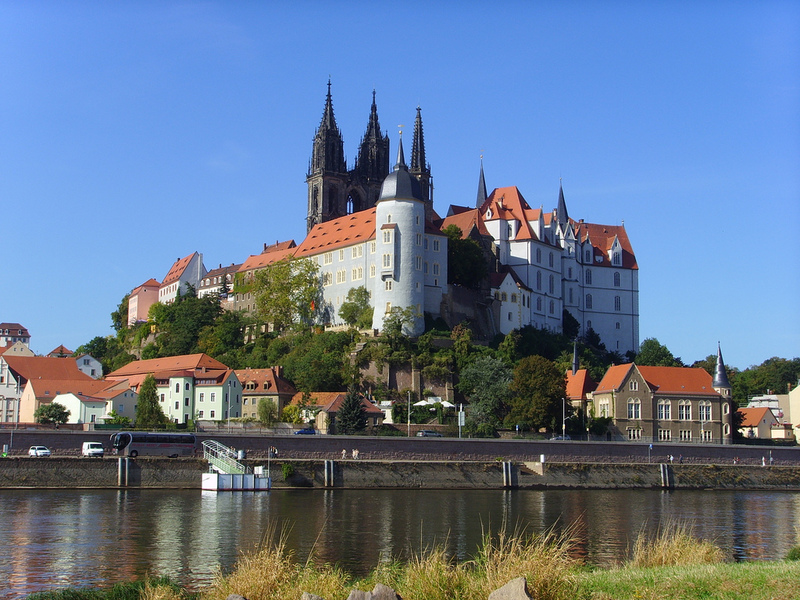 It shows the medieval city of Meissen in Saxony, Germany. Many years ago we hosted a German exchange student. We have been in touch through the years many times and have visited each other. She always used to laugh when she translated the titles for Robert Schumann's music. They are very different then the English titles I knew them by. Beate, thanks for sharing the different translations. My father's family was German. There last name is Luft. Josie, I'll have to look up the titles of Robert Schumann's music. Yes, they do change a lot! My German publisher Ullstein changed the title of my first mystery "Delayed Death" to "Wedding Cake with Funeral"! Not quite the same, is it?